Human beings are spiritual, multi-dimensional beings inhabiting physical bodies, by choice. The physical bodies of spiritual/human beings are biologically encoded to upgrade into permanent states of infinite cooperation, empathy, compassion, and illumination. Holy Work is a combination of standard psychological, state-of-the-art holistic and non-denominational/non-traditional spiritual practices. Holy Work produces positive behavior changes and generates self-actualization, liberation, psychic powers, miracles, luminosity, oneness, quantum worldview. Spiritual/human beings have the free will to choose between love and fear, or ego and essence. Spiritual/human beings have an energetic etheric body capable of being developed into a luminous vehicle for multi-dimensional healing and living. Spiritual/human beings are connected to one another and the universe by way of an energy field also known as the divine matrix, assuring all Holy Work creates ripples of positive change. The evolutionary impulse is driving Homo sapiens to evolve into new species, one of which is Homo-luminous beings. The trajectory of evolution is an upward spiral, assembling a new Genus of spiritual/human beings—Supraconscious Creators. Spiritual/humans are in their most enlightened state of being when they are serving each other and the evolutionary impulse without ego. 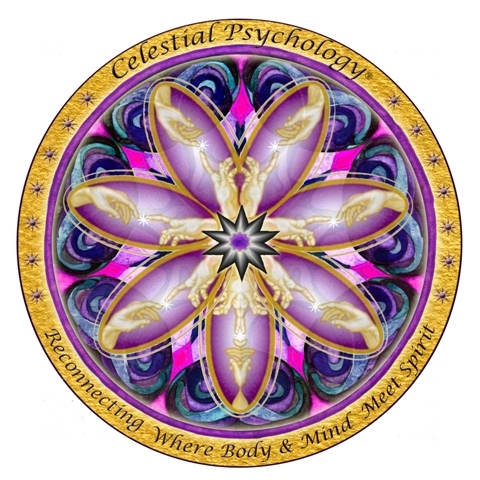 Celestial Psychology® is the defining theoretical framework for the new Fifth Wave of Psychology—Conscious Evolutive Psychology.